It’s official: half of the world’s wealth is now owned by the top 1%. 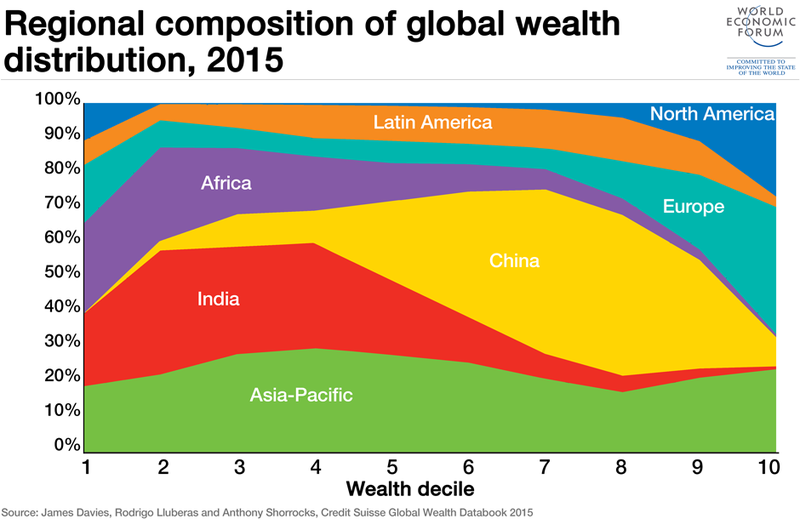 Escalating levels of global inequality over recent years have led to the top percentile of wealth holders now possessing 50.4% of all household wealth, according to a new report by Credit Suisse. In January this year, Oxfam warned against spiralling inequality, forecasting that 1% of the world’s population would be richer than the remaining 99% by the year 2016. The threshold has now been crossed. 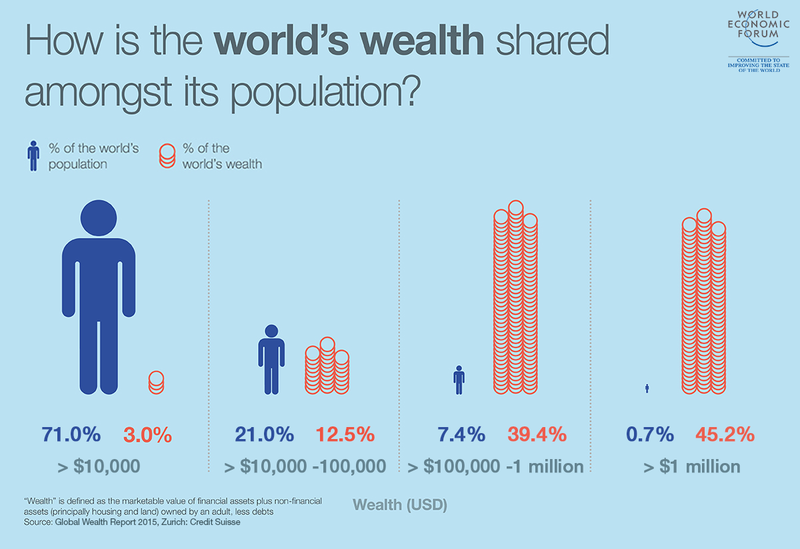 The Global Wealth Report 2015 highlights another unexpected fact: that the world’s wealthiest 1% is not entirely made up of billionaires, but contains a significant number of people whose assets amount to $759,900 or over. Indeed, there are only 123,000 ultra high net worth individuals (defined as those whose assets exceed $50 million) worldwide. As a group, however, they lay claim to 45% of the world’s wealth. A full 50% of the global population have less than $3,000 to their name. Accounting for property and stock market investments (and discounting debt), Credit Suisse reports that a mere $3,200 is enough to place a person firmly in the world’s top 50%. Those with $68,800 or more will find themselves in the top 10% bracket. The sudden rise in affluence of the top 1% may have exceeded expectations, but this could be down to the recent rise of the US dollar and how it has thrown US wealth inequality into sharp relief, skewing the overall picture. Was Tomas Picketty right to call for a wealth tax?